Twenty years after the great drought of 2020, citizens in California and across the United States live under the government’s watchful eye. In this age of intrusion, competition for resources and jobs is fierce. One mistake can be disastrous. Maggie, Jasmine, Sydney, and Lena are strangers with one thing in common: they each have nothing left to live for. All these women need is a fresh start, but they’ll find the cost is more than they could ever have imagined. 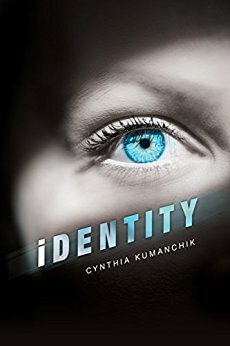 A secretive biogenetics company offers them a mysterious serum that promises to change their identities, giving them great fortune and power. Is such a serum too good to be true? I was very intrigued by the premise of this book. When I first started reading it, I found myself having to re-read a few parts because it did not seem to stick with me. You could say that it was slow going in the beginning for me. Yet, as the story progressed, I started to stick with the story better. Although, I felt like the story never really peaked for me. I didn't really know much about the four women. The details would have been helpful. This way I would have gained a better insight into their prior lives before their new ones. Additionally, the story seemed rushed. Each voice was coming at me quickly but in short spurts. Another detail that I wanted to know more about was the world that the story took place in. There was not enough details or intrigue for me to embrace this book fully.